She also writes a blog where she shares some tips and tutorials about cake design. Her first cake decorating book, “Tartas Esculturales” came out in October 2014 with a lot of fun projects. She also taught around the world which allowed her to have contact with her students and created an opportunity to get to know them. 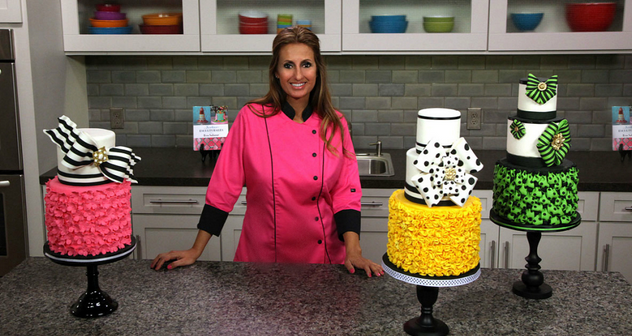 She is a Craftsy instructor with two online classes released, “Fabulous Bows and Fashion Details” and “Cakes with Style.” People can learn how to make different cakes and use all the techniques to achieve amazing results. If you want to take any of her classes, click here for future dates and times. Eva is very down to earth and we enjoyed getting to know her! Her cakes are stunning and the attention to detail is immaculate! Congratulations Eva Salazar on being our Chef of the Month for November! 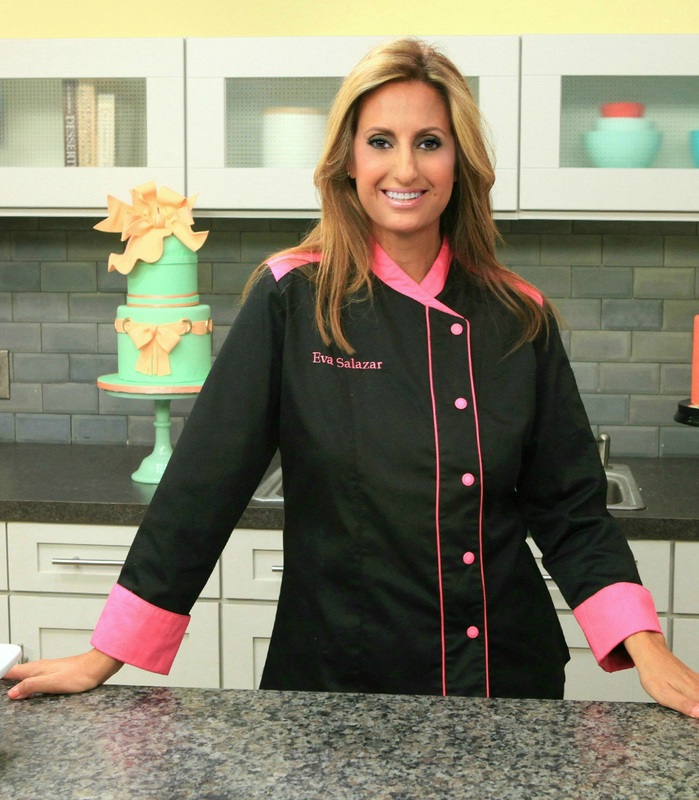 I am located in North Miami, Florida where I run my studio called Makememycake. For baking, something as simple as a rubber spatula and for cake decorating, I can’t live without my Crafty Knife. I think I am both hands because I always have something in my hands, it doesn’t matter which one!! 4. What advice would you offer for aspiring cake designers? Always keep learning. Techniques make us transfer our ideas to the table. And another thing, never give up!! 5. What is one tip every cake designer should know and perfect? Respect the amounts and times but keep a touch of risk. Of course, a delicious cake inside but aesthetically, a clean cake has half way won. The other half is that touch of magic that when you see the cake, it makes you smile. 7. What trends as a cake designer do you see emerging in the near future? Naked cakes, rustic, organic, fruits, vegan but especially rich in flavors respecting the product. First I have to love the color and design, yes I know, I know…but…Then a soft and light fabric is important and I prefer 3/4 sleeve because I am always cold. Always a nice chef coat. No doubt Chocolate and Vanilla for baking and Fondant for decorating. Paris, Madrid and New York. I think it was when I recreated Manhattan in a cake. It was 6 feet long and had all the details that you can find the city. And my personal favorite was a poodle dog cake that looked so alive that when I finished the cake I was about to feed it! !